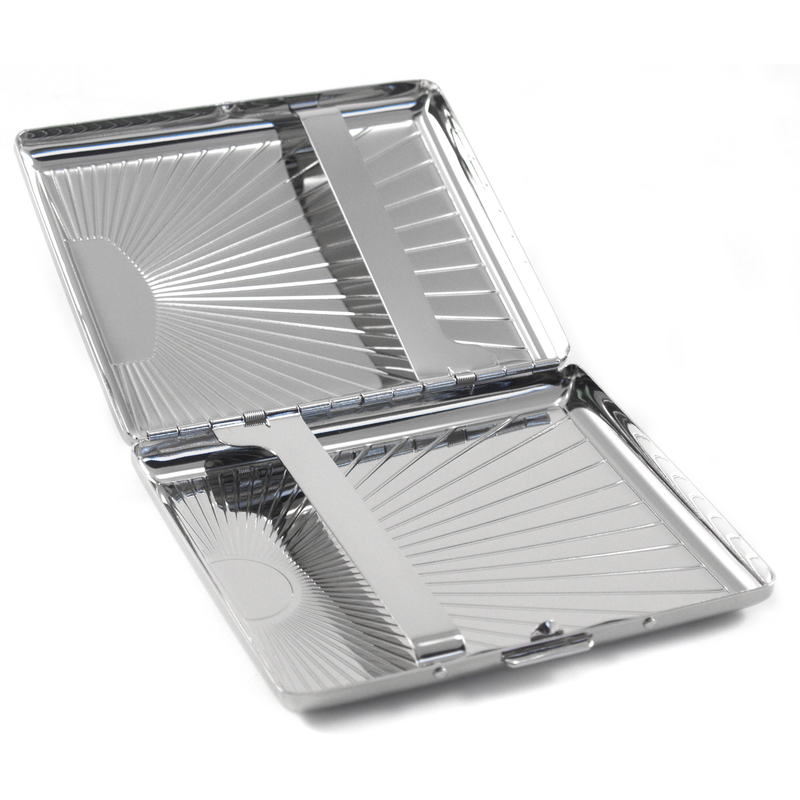 This silver double-sided cigarette case is an elegant and efficient way to carry your cigarettes. This classic case has a metal body with two spring clips inside to keep your cigarettes safely in place. 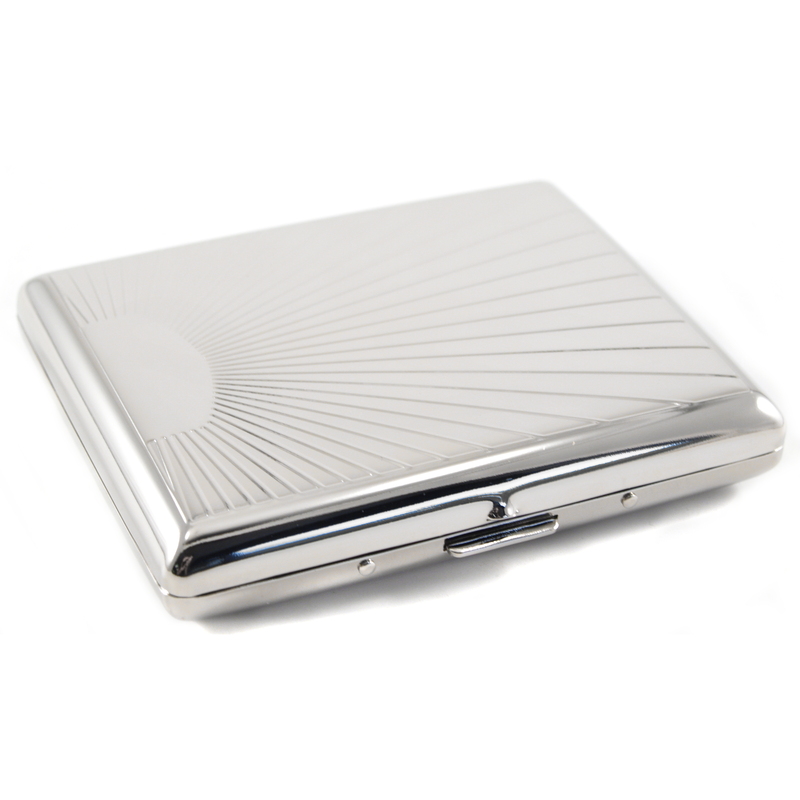 This cigarette case snaps firmly shut and features an embossed sunburst pattern on both the front and back with a clear area in the front engraving! This fabulous cigarette case can also be used to store an ID or even business cards and makes a perfect gift for any occasion!